The extreme darkness of these regions in the radar data argues strongly for the presence of liquid hydrocarbons, such as methane and ethane, which remain liquid at Titan's frigid temperature of minus 180 degrees Celsius (minus 288 degrees Fahrenheit). See PIA09182. 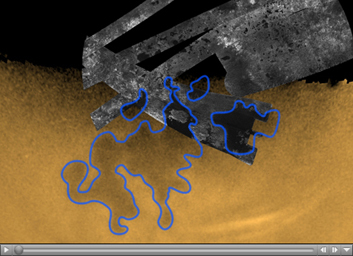 Features of strikingly similar morphology to these dark northern seas and smaller lakes were first discovered in Cassini Imaging Science Subsystem images in June 2005, at Titan's south pole (see PIA06240). 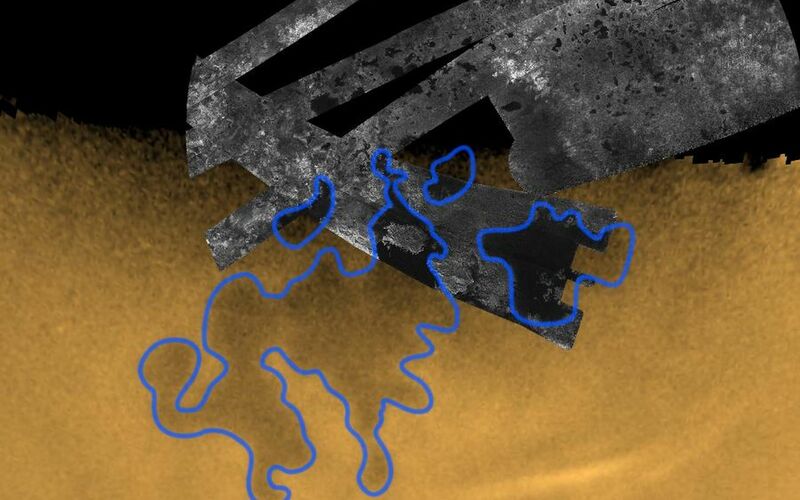 The lake-like shoreline of the largest of these, called Ontario Lacus, its size (about the size of Lake Victoria), and its proximity to the south pole where the largest field of clouds yet seen on Titan had been observed, earned it the reputation as the best candidate for a body of liquid hydrocarbons on Titan up until that point, though the case for liquids was weak. When adjusted for the size of Titan, Ontario Lacus is equivalent in size to the Black Sea. 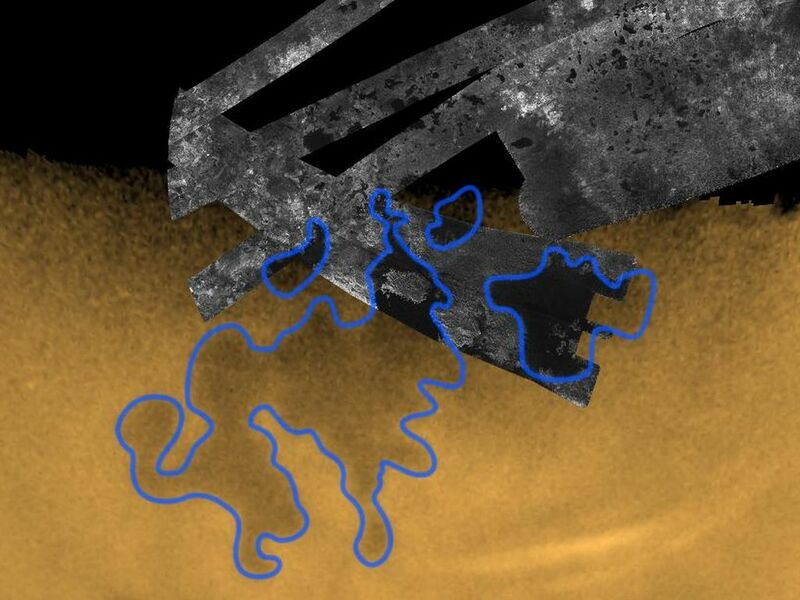 Now, by inference, scientists are more confident that it, and the smaller features that dot the south pole, are also likely open bodies of liquid, and in aggregate make up a southern wetlands on Titan, similar to the one observed in the north polar movie.